Nokia will release its E71 and E66 business phones, along with the new N96, in the next three months, according to an interview with the senior executive vice president of Nokia Markets, Anssi Vanjoki. In an interview with Reuters, he says: "We will in the third quarter bring to the market the N96 we have launched and a group of E-series multimedia computers that will be sure to have a strong stamp on where this market is going." TechRadar brought you news of Nokia's leak of the new E-Series on the official website recently, which hints the devices will be on the shelves within the next month. 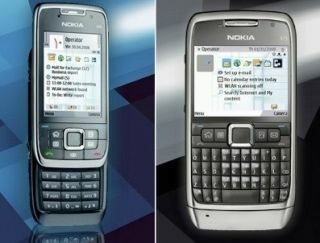 The E71 and E66 are smartphones, and are likely to feature GPS, 128MB internal memory and a 3.2MP camera. The N96, which we showed would be available at the end of July, is the new top-end consumer phone, with a 5MP camera and 16GB internal memory. "The N96 that we have introduced ... we believe this will be a significant product to the group who define the tone where the market is going," Says Vanjoki. "Preorders for it are encouraging."